The class of 2018 were blessed to celebrate a Baccalaureate Mass before the Commencement Exercises. Both the Mass and ceremonies were celebrated at the Lamar Bruni Vergara Wellness Center at the school. Among the 100 students, eighteen of the students are considered Forever Knights, students of St. Augustine since kindergarten. 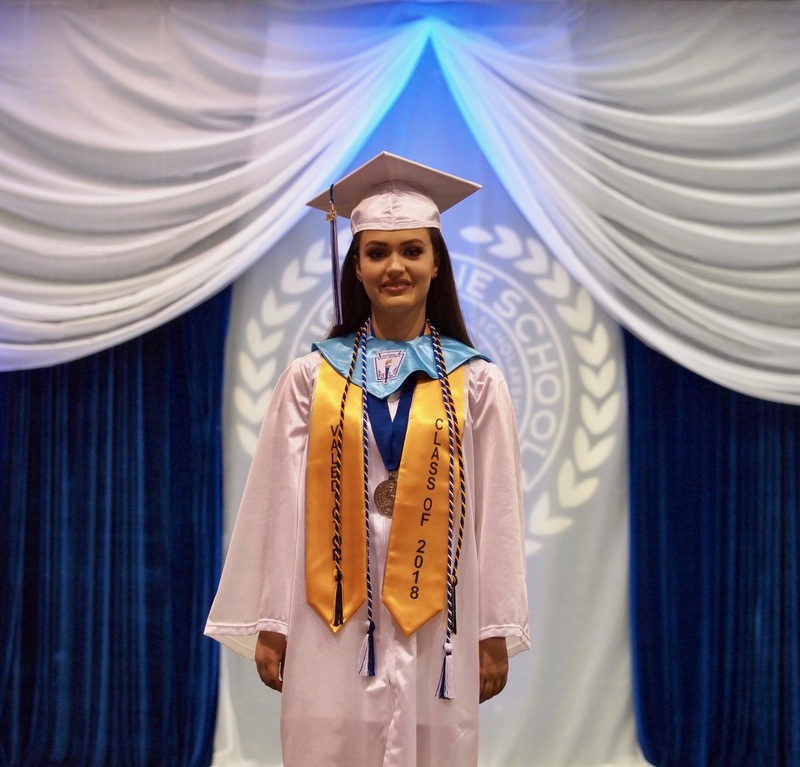 Among them is Valedictorian, Brittany Rose Boubel who is set to attend the University of Texas in Austin this Fall 2018. While most of the alumni will pursue higher education outside of Laredo, about 40 have claimed to remain in town and attend either Texas A&M International University or Laredo Community College. Popular schools of choice to attend outside of Laredo are the University of Incarnate Word, Texas State University and the University of Texas at San Antonio. Students, on behalf of the Diocese of Laredo, thank you for committing yourselves to religious and academic education through St. Augustine. May your future be bright and souls be holy. Above all, aim for sainthood. If you are to be a lawyer, be a holy one. If you are to be a teacher, be a holy one. If you are to be a business man or woman, be a holy one. Congrats, grads! Go knights, go! Find more photos available for purchase in many sizes and styles through La Fe Magazine's photography website www.lafefotos.com.